Yesterday was my 1,061st walk. I do try to walk every day, regardless of weather. I walk north or south or east or west. I always like to record more than ten species of birds on each walk. Today I recorded ten; yesterday I had eleven. Yesterday was a south walk, not usually a record-breaking occasion. (I do much better on north walks, where I walk through a large park.) Yesterday, I was on my way home, thinking of other things, when a small bird darted out from a bush in front of me. My first thought was 'Eastern Spinebill.' Spinebills are not common here and I always love to see them. I tried to identify the bird, but he was most uncooperative, flitting in and out behind the foliage. Finally, I got him. 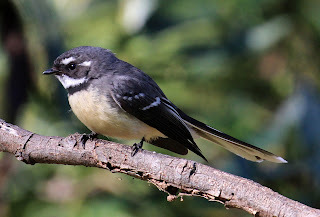 It was a Grey Fantail, a new bird for my walk list. Grey Fantail, photo by Ken Haines. 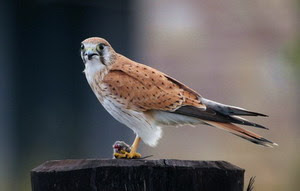 Not my Kew bird but hopefully the same race. There were two things noteworthy about this morning's walk: (1) I did not see or hear a Noisy Miner (Hooray!) and (2) I heard a Spotted Pardalote (not rare, but unusual). Tomorrow is a west walk. Clearly, too much to hope for another new bird. In the early hours of Saturday 23 March 2019 my darling husband, Roger, died. He was in Box Hill Hospital. No one knows why he died. He was a diabetic with a bad heart. Nevertheless his death was sudden and unexpected. The coroner has performed a partial postmortem but no conclusions have yet been reached. Roger was not a birder, but for the 46 years of our marriage, he drove me to countless birding spots. He also drove me to the airport so I could fly off on various birding adventures. We enjoyed sherry from Rutherglen (or recently Wahgunyah) so several times each year, after we'd collected our bulk sherry, Rog drove me around the birding spots of Rutherglen and nearby Chiltern. As Roger's health deteriorated, I did more and more trips alone. Four of my five trips to Christmas Island were done without Rog. He didn't accompany me to the Torres Strait or to the Coral Sea. I felt guilty leaving him and decided that my recent Christmas Island trip would be my last. So I was home alone when he made his last trip to hospital. He'd been there four nights and was scheduled to come home on Friday. I rang to arrange picking him up and the doctor said that Rog wasn't quite right and they'd keep him in one more night. That night he died. 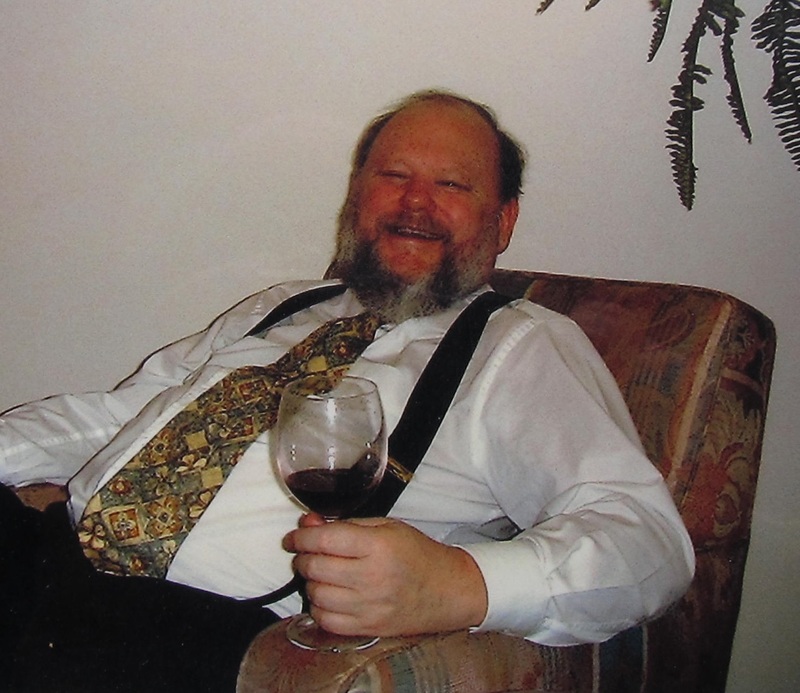 I should thank all my dear family and friends for their wonderful support in recent days and particular mention must be made of my favourite (and only) brother, Richard. I probably should not bother writing a blog about my aborted twentieth attempt to see a White-necked Petrel. There's not much to say. The boat did not go. I did not see the bird. My Graves Disease had returned with a vengeance. I had no energy at all. Walking was difficult; stairs almost impossible. I had booked to fly to Sydney to do the February pelagic out of Kiama, supposedly my best chance of seeing a White-necked Petrel. I asked the doctor if it would be okay to go. He asked me how long I'd be away, and when I said 'one night' he agreed I could go. The month out of Kiama (or previously Wollongong) with most sightings of White-necked Petrels is February. Of my twenty attempts, five previous attempts have been in February (2008, 2011, 2016, 2017 [cancelled] and 2018). I've also been told that April out of Port Stephens is good for White-necked Petrels. I have attempted to do this trip on four occasions (2012, 2013 [cancelled], 2014 [cancelled] and 2016). So, in February 2019, I flew to Sydney and managed very cleverly to get on the right train, then to change trains at Woolli Creek to Kiama. Well done, I thought. With difficulty, I walked to the motel. I stayed in my room until it was time to leave in the morning. I had arranged to be picked up and driven to the jetty, so there was no walking on Saturday. My lift arrived, (thank you, Graham!) and, with great expectations, we drove to the wharf. A small crowd of people stood by the boat. Immediately we learnt that the trip had been cancelled. Weather was too bad. Seas were too rough. Several Victorians who had made the trip as I had, just for the elusive White-necked Petrel, stood, trying to grasp the fact that their interstate journey had been in vain. After a little miserable discussion, we dispersed. I felt cheated. Brook drove me to the airport and I arranged an early flight home, feeling the world was against me. If I took a minute to stop feeling sorry for myself, I would thank Graham and Brook for their invaluable assistance. What would I do without the help of these wonderful friends? Alas, they cannot make the bird materialise. Am I never going to see this bird? I celebrated Australia Day 2019 with my nineteenth attempt to see a White-necked Petrel. 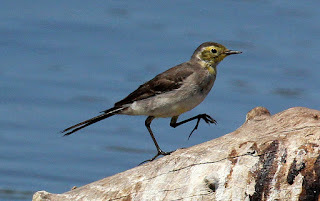 These birds are supposedly seen in January, February and March in New South Wales and southern Queensland waters. That's what the books say, but I cannot confirm this from my own experience. 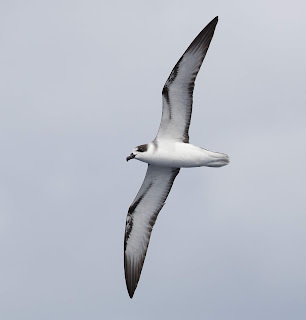 I have never seen a White-necked Petrel. On Friday, I flew from Melbourne to Sydney and took the train to Kiama where I stayed overnight. Altogether, the trip cost around $2,000. This is becoming an expensive bird. For me, the White-necked Petrel really is a bogey bird. People use this term loosely. I often hear birders referring to a bird they happen to have dipped on once or twice as a 'bogey bird.' 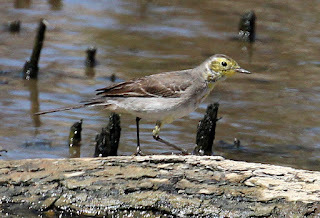 I reckon a bogey bird is a bird that all your friends have seen, but you have not, despite trying very hard several times. And, in my book, travelling interstate on nineteen occasions to see a White-necked Petrel and failing every time certainly qualifies. 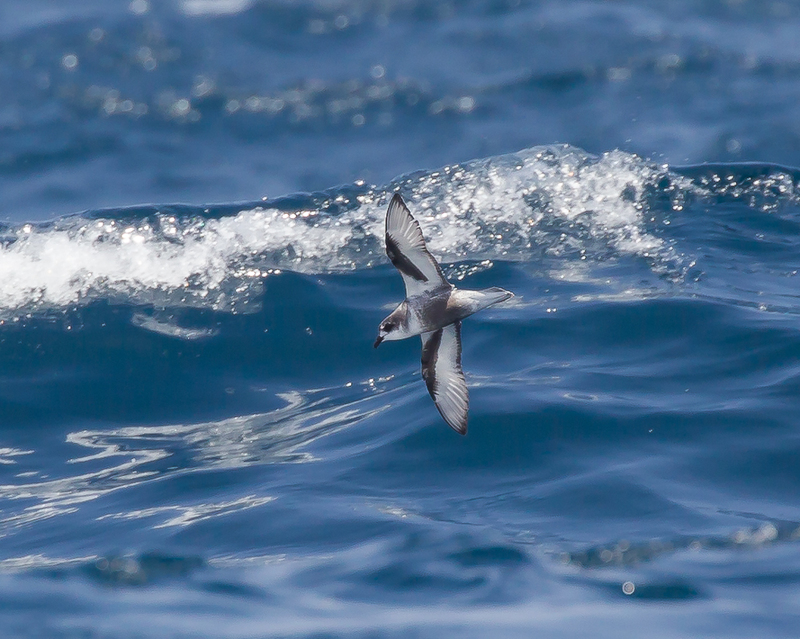 Apart from the lack of White-necked Petrels, our day at sea last Saturday was pretty good. It was sunny, but not too hot and we had a boatful of happy people. 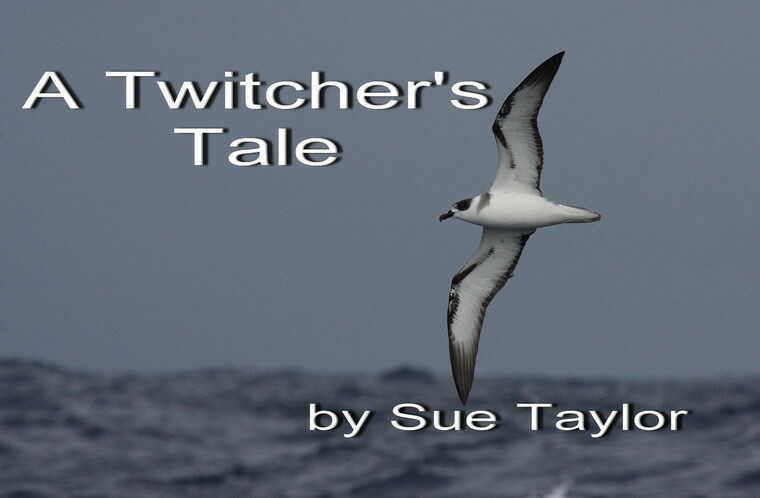 We saw hundreds of Wedge-tailed Shearwaters and almost as many Grey-faced Petrels. A magnificent Mottled Petrel caused much celebration and was a lifer for many people on board. I was happy for them of course, but their success seemed to underline my failure. The Mottled Petrel was undoubtedly the Bird of the Day. 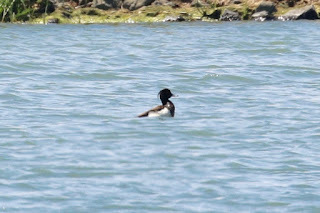 We had fleeting views of both Wilson's and White-faced Storm Petrels and a couple of Sooty Terns. We saw one or two Pomarine Skuas and had great views of a couple of Long-tailed Jaegers. There were a few Flesh-footed Shearwaters and just a couple of Short-tailed. Some people saw Sooty Shearwaters but I did not. Nor did I see any Hutton's or Fluttering Shearwaters. I had hoped for a Streaked Shearwater, but it was not to be. We did see a Gould's Petrel, and I was pleased it was not a lifer, because the view was not satisfactory. We saw one Shy Albatross, one Australasian Gannet, a Greater Crested Tern and some Silver Gulls, giving me a total birdlist for the day of 13 species. It was a very nice Mottled Petrel, to be sure. But it was not worth $2,000. And it was not worth travelling all that way. Now I look forward to doing it all again in February! Here we are in 2019. A whole new year ahead of us, in which I plan to see lots of birds. A new year with renewed enthusiasm and heightened expectations. I'm hoping I might see five new lifers in 2019: a modest enough target I hope. Most years I achieve more than that. The last couple of years, I've managed 11 ticks each year, including a couple of splits last year. But, as my total grows, the possibilities for new birds diminishes. Funny that. 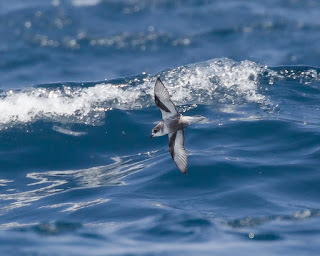 Surely, if there is any justice in the world, I'll see my White-necked Petrel this year. Another bird quickly gaining the status of bogey bird for me is the Black-eared Catbird. I've spent more money looking for that than I care to calculate. Only once have I managed to see a lifer on the first of January. That was in 2008 on the Abrolhos, when I saw my first Lesser Noddy. Other January lifers include the White-throated Nightjar in Bunyip State Park in 2004, a whole host of Bamega specialties in 2006, the Hudsonian Godwit at Werribee in 2009, the White-rumped Sandpiper at Lake Wollumboola in 2015, and the Paradise Shelduck at the same spot a year later, the South Island Oystercatcher at Broadwater in 2017 (my 800th bird), the Lesser Black-backed Gull at Buffalo Creek the same year and the Buff-breasted Sandpiper at Lake Murdeduke also in 2017. And then: the Tufted Duck at Werribee's Western Treatment Plant on 3 January 2019! This makes my hopes of five lifers for the year seem eminently achievable. 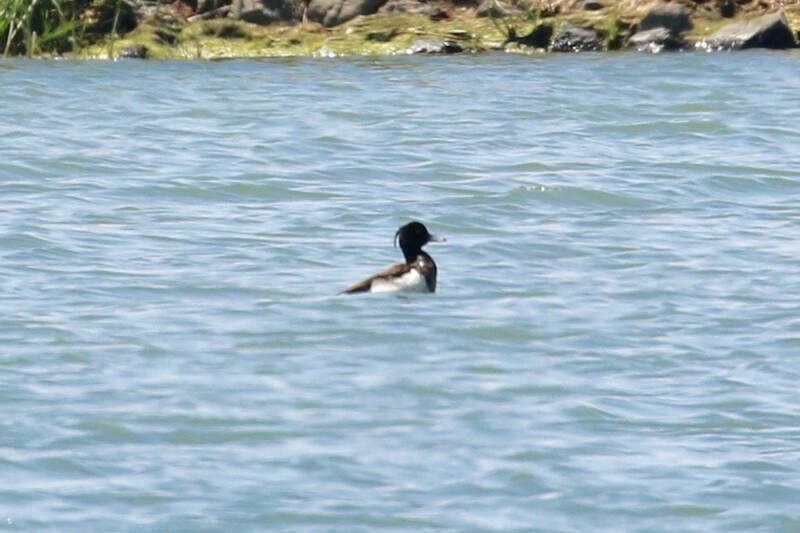 Who would have thought that a Tufted Duck would turn up in Victoria? I've seen them in the UK, but that didn't give me anything like the excitement of getting them on my Australian list. Let's hope some more exciting vagrants get lost somewhere near here some time soon!